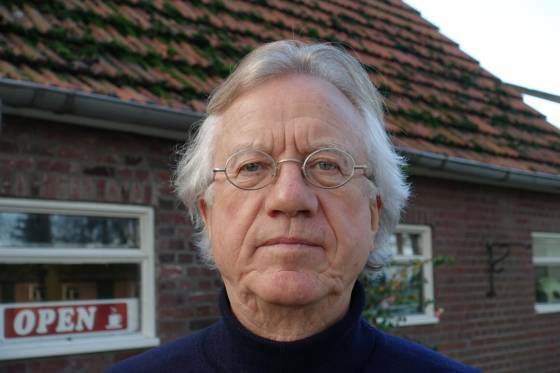 Climate change in the Netherlands has become a matter of faith, says columnist Syp Wynia. Forum, the magazine of business lobbyists VNO-NCW, published an interview with Alliander energy boss Ingrid Thijssen recently. As Alliander provides a third of the Netherlands with gas and electricity you would be right to expect the interview to focus on this activity but no, its themes were guilt and atonement. Ingrid Thijssen personifies the way the Netherlands looks at gas and electricity: not as energy but as transitional phenomena on the road to Paradise or the Promised Land. She is not so much worried about the coming of the energy transition – she envisages a country covered in windmills, solar panels and cars powered by electricity or hydrogen – but she does fret about how much she will have done to make it happen. Thijssen translates the message from her childhood into ‘taking responsibility, good stewardship’, she says. ‘Making energy transition happen is not an easy task which I undertake wholeheartedly .’ In order not to crumble under the burden she practices yoga. She is also a member of D66 in her spare time. Ingrid Thijssen IS Climate Country the Netherlands. She is committed, driven, wants a better world, cherishes her Calvinist roots but has put a modern gloss on them and so does not fear the final judgement of god but that of her grandchildren. Ingrid Thijssen unites the whole Dutch climate saga of the Dutch leading role in the climate debate, the ban on gas but also the road to redemption for destroying the planet. She is one of many believers in the world of gas, electricity and climate. Utility companies seem to be their natural home and although they are mainly transporting lots of gas, all they really want to do is deliver green electricity. Out and out Calvinists, ex-Calvinists or neo-Calvinists, they are all completely enthralled by ‘Paris’ and ‘IPCC’ and, consequently, the climate and energy accords of Ed Nijpels. All these are scripture for those looking for new spiritual support. A journey on foot from Hilversum to Paris by public television presenters on the eve of the Paris climate agreement bore an uncanny resemblance to a Catholic procession. And although the narrative of guilt and atonement around climate, gas and wind is more Protestant in nature, some Catholic rituals also get a look in. Not only could the Netherlands become the first climate-neutral chosen country, it is also home to prophets predicting doom if it doesn’t happen. People who are not experts must shut up, say the self-appointed climate high priests who put everything they don’t like on the Index of forbidden climate publications and ex-communicate their authors. There are Catholic indulgences (CO2 compensations for Rob Jetten and other flying cosmopolitans), pilgrimages to Canossa and a climate inquisition which will descend on you if dare question the Dutch ban on gas (something the rest of the world is not even thinking about, far from it). As always happens with orthodoxy and fundamentalism, reason, humor and nuance are the first to bite the dust. Al Gore is the pope, Ed Nijpels an archbishop and sister Urgenda is the keeper of the faith. And the climate heretic? He will burn in hell, the only place that never runs out of fossil fuels. Without the omnipresent philosophy of the climate church, the Netherlands would never have been so caught up in energy transition, climate neutrality and gas bans. Until half a century ago this was still a country of believers although even though the churches were emptying at a revolutionary rate. There is something to be said for the idea that the lack of religion opened up the way for all sorts of new-fangled beliefs. First it was the Third World and development aid, then the multicultural society and now it’s the Climate Neutral World. I have argued for a proper investigation into the link between empty churches and the rise of the sustainability faith. But meanwhile, the last remaining believers and the ChristenUnie and the PKN have joined as well. Half a century after the Dutch cultural revolution the country has entered a new phase. Not one of flower power and peace for all. It’s a far nastier revolution, one that is intolerant and hostile to those who do not adhere blindly to the new faith.